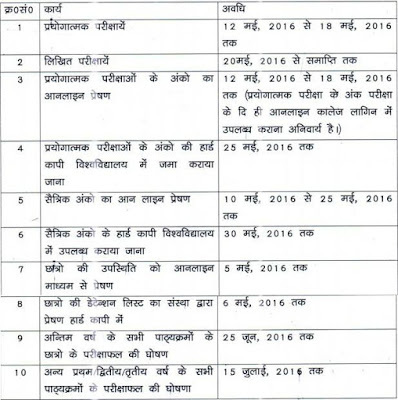 Dr, APJ Abdul Kamal Technical University AKTU Lucknow previously know as UPTU announced EVEN SEMESTER EXAM SCHEDULE 2015-16 on university official website uptu.ac.in or aktu.ac.in on 13th April 2016. 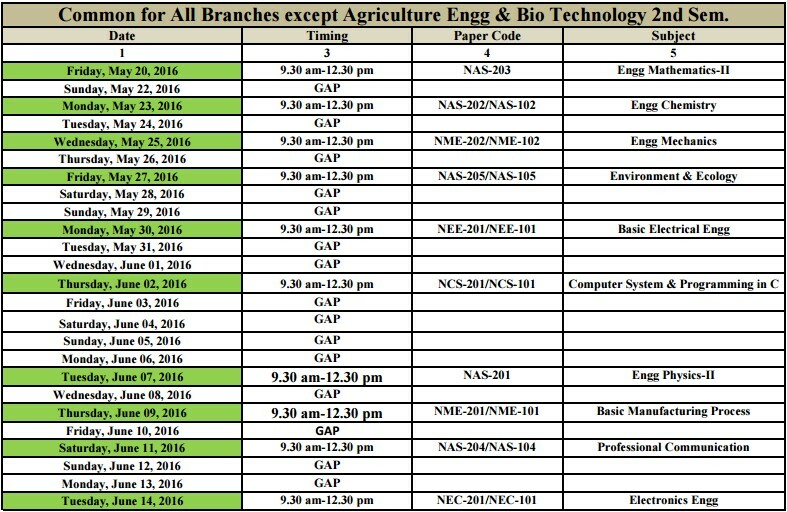 This B.Tech, MBA MCA, B.Pharma, BHMCT, BFAD MAM 2nd 4th 6th 8th 10th semester datesheet is tentative it means it will changed in future. 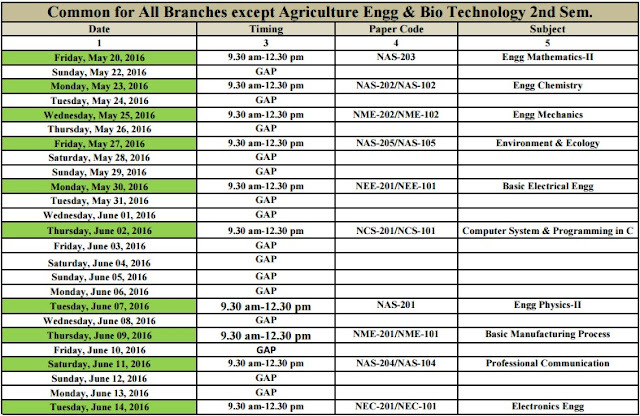 According to latest university circular Theory exam will start from 20th May 2016 and practical exam are start date is 12th May end on 18th May 2016. Below we provide you all official website circular direct links from uptu.ac.in, you just need to click on link or save them as PDF by clicking left click. If we get any update about schedule change of any course, we uptunews.in update official link here with updated date. Carry over exam ka result ab tk aa ni raha.. Or yaha even ki dates aa gai. Kesi univ. H ye. Kb result aayega carryover exams ka.?????? 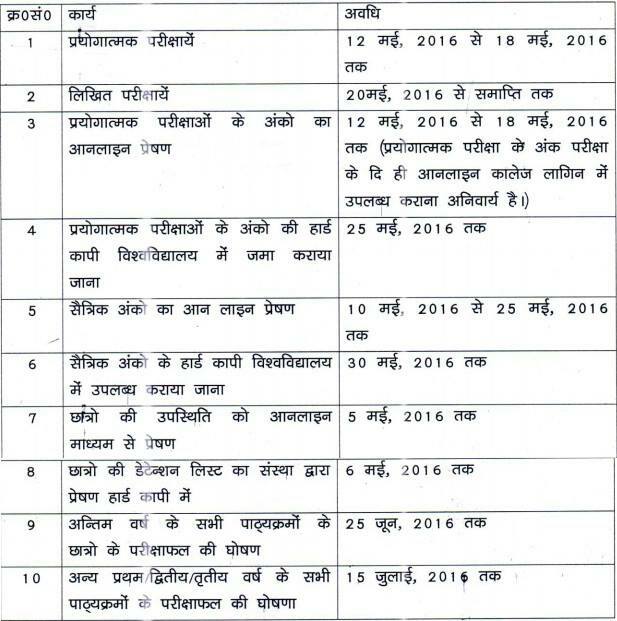 mca carry over ka resut ayega ya nhi..
Sir please give special Cary over 2016 date sheet .